Need ideas for your college term paper? 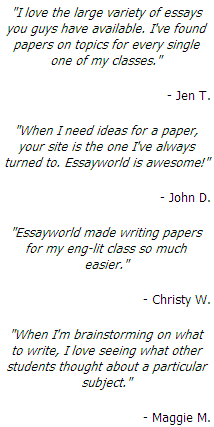 Essayworld has tens of thousands of example essays, book reports, and research papers written by students like you on thousands of topics. To get free access to Essayworld.com, just donate one paper to the site. Your account will be activated instantly.